Lewiston, NY - James Johnson took top honors in the photography category in the 13th Annual Beyond the Barrel Exhibit: NF125. 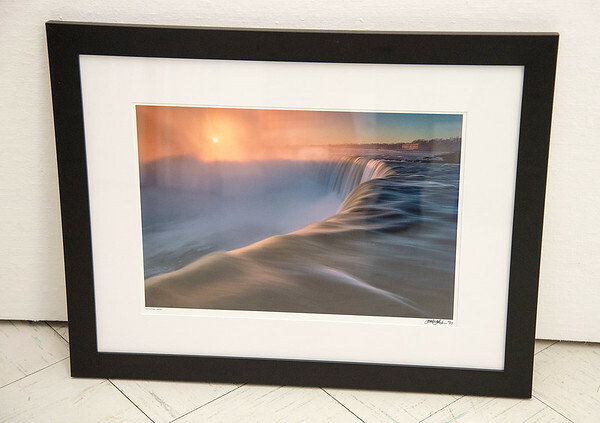 The exhibit celebrates the 125th Anniversary of the City of Niagara Falls by featuring art with a local subject. The event is being held at the Niagara Arts & Cultural Center, 1201 Pine Avenue and runs May 5—Aug 6, 2017 in the Townsend Gallery. Judging the photography category was James Neiss, staff photographer at the Niagara Gazette.